Q: Does Hitchcock have a cameo in "Dial M for Murder"? "Do you really believe in the perfect murder? " The hit Broadway play by Frederick Knott "Dial M for Murder" has been adapted to the screen several times, including the films made in West Germany and Sweden, as well as a TV movie in 1981 (TV) by Boris Seagal and the film "A Perfect Murder" (1998) directed by Andrew Davis with Michael Douglas, Gwyneth Paltrow, and Viggo Mortensen. Alfred Hitchcock's 1954 adaptation was the first and certainly the best one even if the master himself considered it one of his lesser efforts. 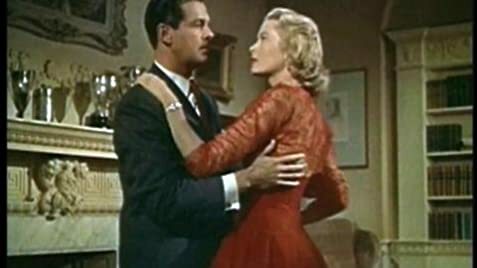 "Dial M for Murder" will be remembered as Hitchcock's first color film and the first of three thrillers he had made with Grace Kelly, the future Princess of Monaco, in the prime of her beauty and her talent. Using color proved to be very effective in the film. The first two scenes featuring Kelly wearing a white morning dress in the idyllic scene with her husband Tony and right after that kissing passionately her American lover, writer (Robert Cummings) in the red dress, immediately, without many words tell the viewer that the story of passion, deception, betrayal, and ultimately, murder will follow. Ray Milland (Tony Wendice) is a surprisingly sympathetic villain (which is perhaps not surprising from the actor with talent, charm, and charisma that equal and remind a lot of both Cary Grant and Jimmy Stewart) who knows about his wife cheating and decides to teach her a lesson by plotting a very clever murder which will make him a sole heir to her money (she is a wealthy one in the family). His plan is perfect and almost works but Margot managed to not only escape the murderer but to turn the table on him while stunned Wendice is on the phone and listens how his well thought of plan collapses. Wendice is very resourceful and he proved to be a master of improvisation because it took him a few minutes in a cab to switch to a plan B that turned a terrified victim Margot into a cold-blooded murderess. Now it is up to seasoned and shrewd inspector Hubbard (John Williams) to find the crucial piece of evidence and to solve the case. As always with Hitchcock, his directing is impeccable, the camera rarely leaves Wendice's apartment but the film is never claustrophobic which is the case for many plays' adaptation. It breathes and moves freely and we almost forget that we are in the same room for close to two hours. 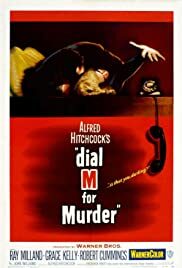 I would not call "Dial M for Murder" my favorite Hitchcock's film but it is enjoyable, clever, and witty thriller with the interesting twists, outstanding performances, and more than one truly memorable scenes. 28 of 50 people found this review helpful. Was this review helpful to you?